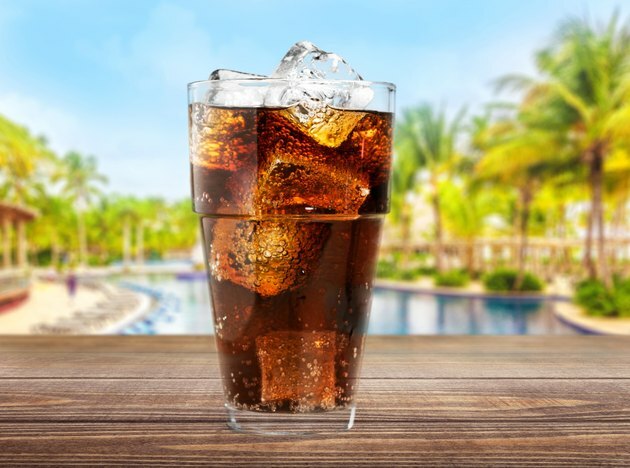 On average, Americans consume more than 50 gallons of carbonated soft drinks each year, according to the 2005 USDA report, "Contributions of Nonalcoholic Beverages to the U.S. Diet." Although the ingredients in carbonated drinks are deemed safe by the Food and Drug Administration, these beverages may cause side effects, especially if you consume them on a regular basis. Familiarizing yourself with the possible side effects of carbonated drinks can help you make informed nutrition choices. Consuming sugar-sweetened, carbonated drinks adds calories to your diet, which may increase your risk of overweight and obesity. In an April 2007 article published in the "American Journal of Public Health," Lenny Vartanian, Ph.D., and colleagues report that the risk of overweight and obesity associated with consumption of sugar-sweetened, carbonated beverages is greater for women than men and for adults compared to children and adolescents. Overweight and obesity are significant risk factors for the development of type 2 diabetes, heart disease and osteoarthritis. If you are a woman, consumption of cola-type, carbonated drinks may reduce your bone strength. In an October 2006 article published in "The American Journal of Clinical Nutrition," nutrition scientist Katherine Tucker, Ph.D., and colleagues report that women who consume regular and diet cola tend to have weaker hipbones compared to those who do not drink these beverages. The authors note that the degree of bone weakness correlates to the amount of cola consumed.